Village for all – V4A® is the International Quality Brand Hospitality for All, that through information guarantee to choose where to spend safely holidays. “Everybody holiday”, this is the idea that led to the creation of the project Village for all – V4A®, that work with one goal: to promote Hospitality for all, the social inclusion and the right to holiday for everyone. Hospitality for all means the set of services and facilities able to allow to people whit special needs the enjoyment of holiday and freetime without obstacles and difficulties. Are considered as “special needs” not only those of people in wheelchairs, but more generally of those who have reduced mobility permanent or temporary, sensory limitations (blind or deaf), food allergies or intolerances, diabetic people, dialiysis and obese people, but also needs of that great band of population consists of ederly and Families with children. 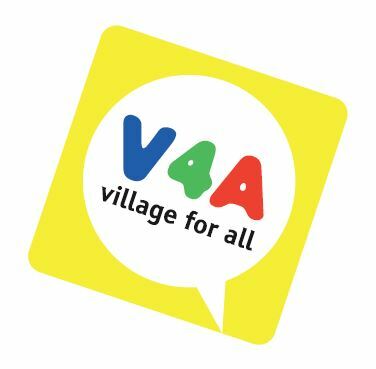 Village for all – V4A® certifies under its own Brand, tourist structures able to offer Accessible Hospitality for all. Guarantee an attentive information, reliable, precise, personally checking each structure before affiliation, ensuring information on measures, dimensions and clearances, without delivering "licenses accessibility”, but giving people the chance to choose independently their holiday in the structure that will better meet the needs of the individual and his family. Facilities certified by V4A® (actually in Italy and Croazia), share the principles of social inclusion based on non-discrimination and equal opportunities, for an ethic holiday which guarantees to all persons the possibility to live and fully enjoy a well-deserved holiday.